Americans are buying more gadgets than ever before, but those gadgets are not using more energy collectively. Why not? Well, according to a new report from the research firm Fraunhofer USA and commissioned by the Consumer Electronics Association, more efficient TV technology and a switch from desktop and laptop computers to tablets delivered a sizable drop in the total energy use by gadgets in the U.S. in 2013. That’s good news for the argument that technology and innovation can help solve some of the world’s most pressing issues, and it also shows that there’s considerable room for energy efficiency upgrades for digital devices. A similar situation was discovered with the increasing energy use of the world’s data centers. The CEA report is also an indicator that the push for energy efficient standards by government groups like Energy Star is working, to some extent. Broken, tossed TV, courtesy of sinada / Shutterstock. According to the report, there were 3.8 billion consumer electronics used in American homes in 2013, which collectively consumed 169 TWh. In 2010 there were 2.9 billion consumer electronics owned, but those devices consumed collectively 193 TWh, or 12 percent more energy than the number of gadgets in 2013. The most widely owned consumer electronic device in the U.S. is the television. There are more TVs owned than people in the U.S., with 338 million owned in 2013. So it’s not surprising that TVs have long accounted for the biggest energy consumer of our home gadgets, with 30 percent of the total. 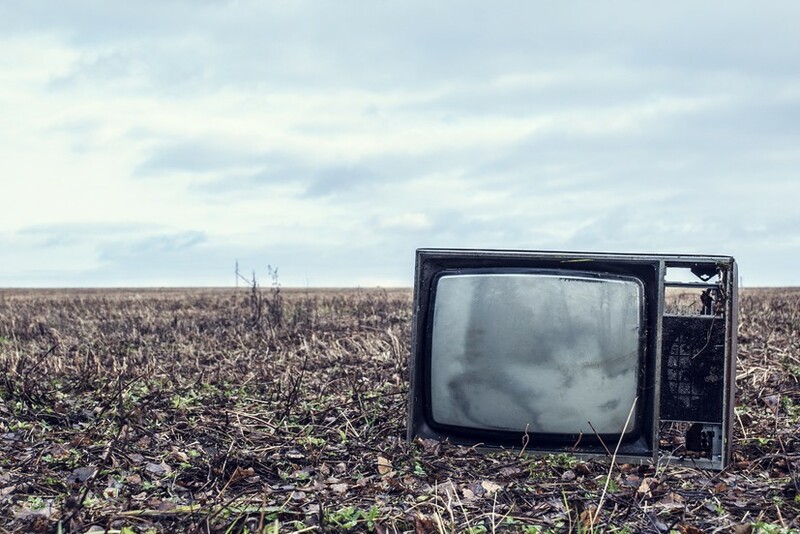 But the report estimates that the number of plugged-in TVs — that is TVs currently in use, not just owned — is down by 50 million (or 14 percent) from 2010 for the first time in over a decade. The conclusion is that Americans are finally unplugging — or stashing in the garage or basement — their older TVs that use cathode ray tubes instead of display technologies. Old TVs are so dated, and so inferior to widely used display TVs, that they are just being dumped or ignored. Energy efficiency display tech is now the norm. Image courtesy of Amazon. This shift from cathode ray tube TVs to LCD TVs led to a 20 percent drop in overall TV energy consumption. 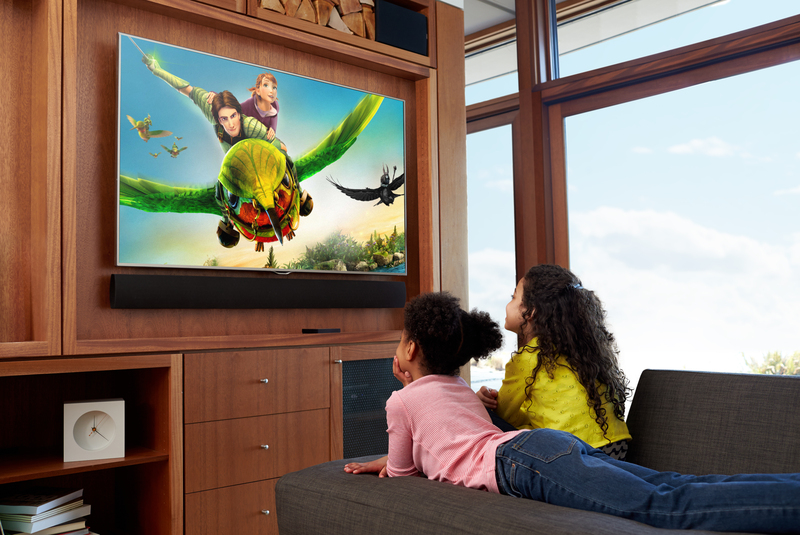 Ninety percent of TVs sold in 2013 were LCDs. Use per TV actually went up over this time. Once all of the old TVs are ditched or unplugged, though, this trend could change over the coming years. More internet-connected TVs could actually raise overall energy consumption of TVs because the average use of active mode on internet-connected TVs is much higher than it is for non-connected TVs — in other words, internet-connected TVs are “always on.” Currently, there’s only a 15 percent penetration of Internet-connected TVs. Together, TVs and computers accounted for 43 percent of the overall electricity use coming from U.S. gadgets in 2013. For computers, there was another sizable technology shift: the emergence of tablets. Tablet ownership is up, image courtesy of Thinkstock. While there’s been a 10-fold increase in the ownership of tablets — from 4 percent penetration in 2011 to 39 percent in 2013 — there’s been an overall decrease in the use of desktop and “portable” (laptops and netbooks) computers, as well as less use of monitors. Tablets are considerably more energy efficient than desktop and laptop computers, so overall collective computer energy use has dropped by 25 percent since 2010, thanks to tablets. Tablets use 8.8 times less energy than portable PCs (per unit), but have an 11 percent higher install base, says the report. As more and more computing is done by smartphones (which this report did not count as computing devices), that energy efficiency trend will continue. The per-unit energy consumption of smartphones is lower than tablets. Other consumer electronics saw some energy efficiency progress, as well, due to technology gains. For video game consoles, recent versions of the PS3 and the Xbox 360 are considerably more energy efficient than older versions of the PS3 and Xbox 360 (65 and 52 percent less power used, respectively). For networking devices (modems, routers) the first energy specifications for Energy Star were due in Sept 2013. Set-top boxes — the third-largest energy consumer among home gadgets — will lower energy consumption thanks to a voluntary agreement in December 2012. It’s progress for sure. Overall the use of consumer electronics is growing quickly in the U.S., but these devices aren’t the main energy draw in our homes. Rather, most energy consumption comes from the heating and cooling of homes, heating of water and lighting of homes. But consumer electronics collectively consume more energy than refrigeration and cooking in the home. While the report was done by a third party, Fraunhofer, remember that the Consumer Electronics Agency commissioned it, and CEA has considerable stake in getting more people to buy more gadgets. So keep that in mind if you read the entire thing. The biggest undefined area that energy star loopholed was dryers. That trumps everything on the margin and total energy consumption no doubt. too bad cable set top boxes are power hogs (did someone say 35W per box? 2.8 boxes per customer?). too bad cable companies encrypted all their channels and forced customers with perfectly usable clear QAM tuners in their HDTVs to rent a set top box for every TV in their house. so much for those power savings.